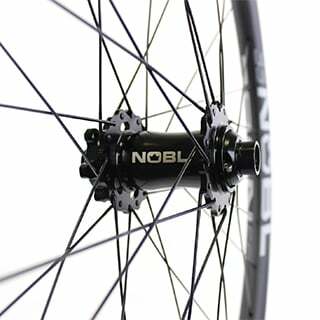 We wanted to create something special for our complete NOBL wheelset. 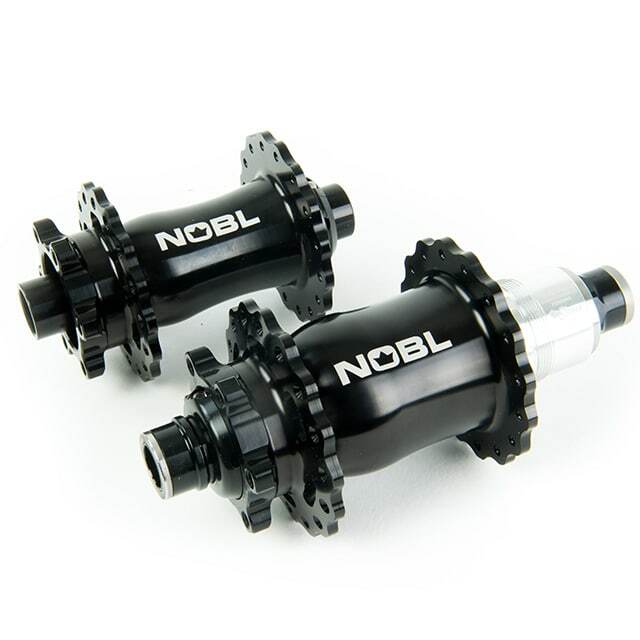 We partnered with Onyx Racing to manufacture a hubset that is exclusive to NOBL wheels. 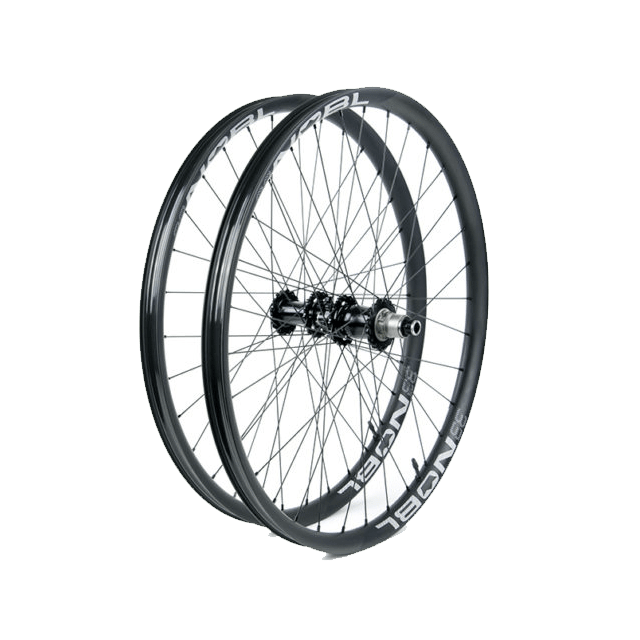 They are completely silent, engage instantly with no lag, have the least drag and can handle the highest amount of torque of any bicycle hub which makes for one unique ride! 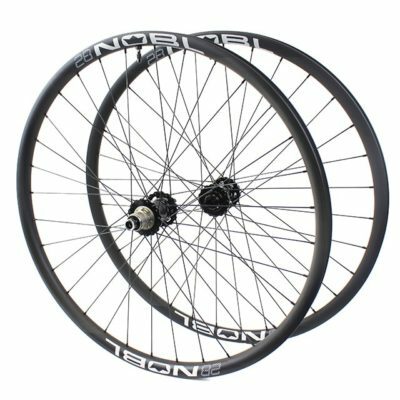 If you are not ready for our complete carbon wheelset, you can order our hubs on their own. 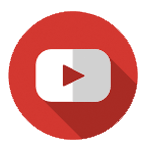 We're clearing out our NOBL hubs! 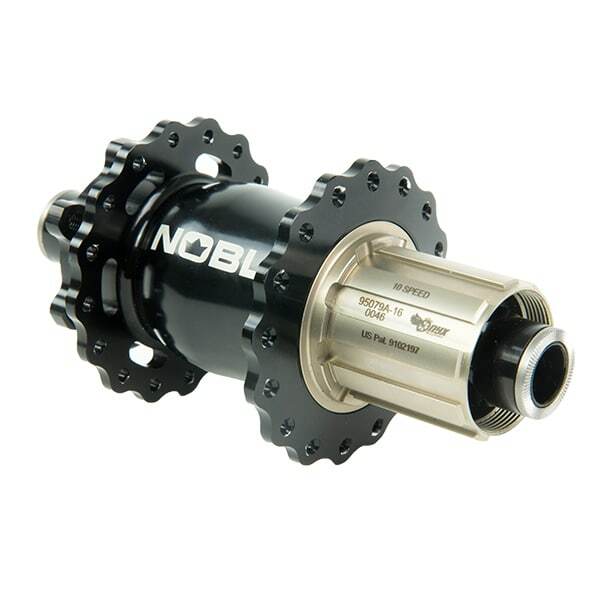 Now is your chance to save big on standard spaced 28h hubs. 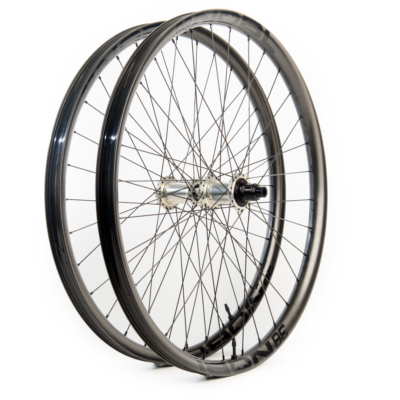 If you would like to have these built to a complete wheelset please contact us directly. Once you select an option below you will see more option choices. 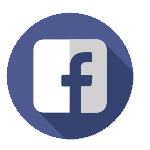 Please let us know if you have any questions or special requests. We review all orders before they are shipped and will contact you if we have any questions. We set out to design a unique hub shell mirroring the same pleasing aesthetic profile of our asymmetric rims, while shaving off as much weight as possible. 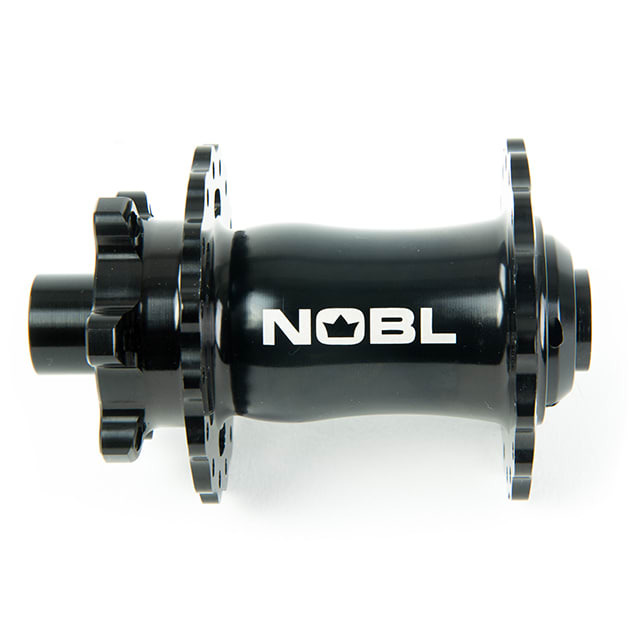 In April 2016 – We released the NOBL hub which is manufactured exclusively for us by Onyx Racing products out of Minnesota, USA. 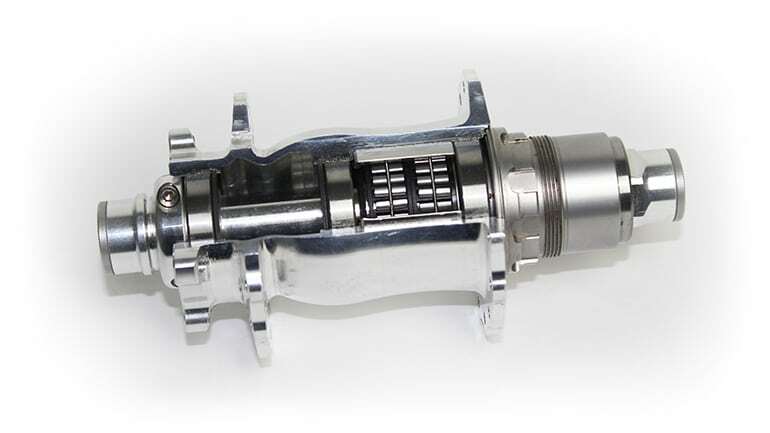 The efficiencies gained due to the unique sprag clutch make up for the heftier weight of the rear hub, but that doesn’t mean we gave up. In fact, we analyzed every aspect of the hub to try and reduce weight where we could without reducing performance. We opted for scalloped flanges on our 7075 T6 alloy shells which are angled to reduce stress on the spokes. We were able to reduce the amount of material needed to form the dedicated 6-bolt brake boss while retaining the ability to accept full size 203mm rotors. We reduced the bearing size and overall diameter of the front hubs to bring the hub weight down from 207g to 173g, and retained the bearing preload adjustment so you can keep your hubs spinning drag free even once clamped into your fork. Continuing on with the no compromise mentality, Titanium hardware is used. The sprag clutch system in the rear hub offers infinite engagement and zero noise making for one unique ride! 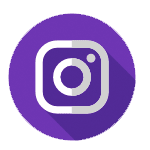 The sprags are steel so it does add weight, but since it is not large diameter rotational weight like that of a rim or tire, you don’t really notice it. What you do notice is that the hubs roll extremely fast! 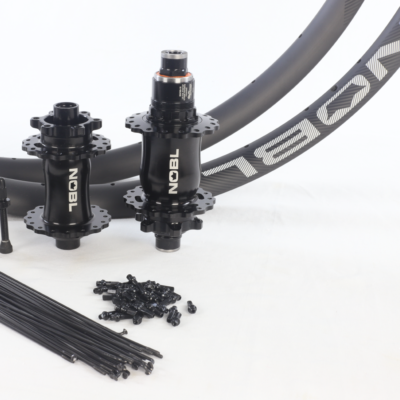 Hybrid ceramic bearings come as standard equipment, and with the unique freehub system, the end result is a hub that handles the most torque and has the lowest drag numbers of ANY hubset on the market. The bearings are designed to be user serviceable for years of smooth rolling performance. Our wheels have graced some of the gnarliest mountain bike trails on the planet, under some of our top athletes. Trail proven time and time again. Not sure which wheel is best for you? 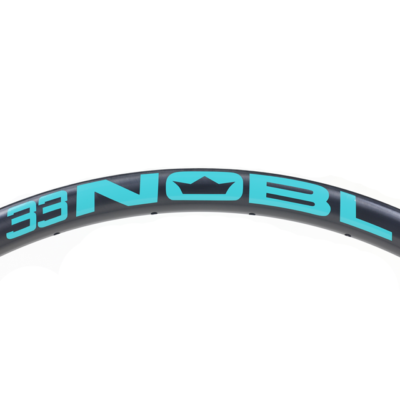 Having trouble selecting the perfect tire for your NOBL wheelset? 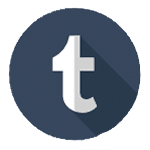 We're here to answer your questions! We want you to be 100% satisfied. Direct customers receive lifelong truing and bearing service on their wheelsets. 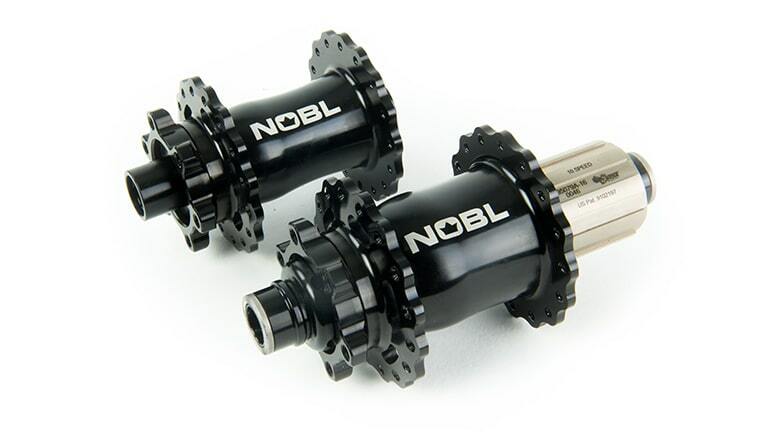 If you buy a NOBL wheelset and if it's not right, send it back and we'll exchange it for something else. Buy direct from us and remove buyers remorse.